Trooper Island viewed from the outdoor patio of the restaurant at Dale Hollow Resort near Burkesville, Kentucky. Trooper Island is a camp that has been developed by the Kentucky State Police as part of a long range public service program for the youth of Kentucky. The program was lead by a former State police director, Colonel James E. Bassett, whose idea it was that a permanent recreational site be established where boys and girls, ages 10 to 12, might attend at no cost. Those who are selected that may not otherwise have an opportunity to attend a camp anywhere else. The island location, which is in a secluded corner of Dale Hollow Lake, was leased from the U.S. Army Corps of Engineers, and a nonprofit charitable corporation was formed. The camping program is dedicated toward development of one’s self-image. There are no restrictions based on race, creed, or color. Those chosen to attend, who are selected from sixteen different areas in Kentucky, are loaded onto a barge which provides transportation to the island. Some of the recreation activities include swimming lessons in an olympic size pool built on the island where non-swimmers are taught to swim by certified instructors. An archery range is offered along with a rifle range. The island also has an asphalt regulation basketball court. Campers are also taught the proper handling of small boats. Other activities include softball, volleyball and horseshoes. The instructors involved with the camp are volunteers who come from many state agencies and adjacent communities. Once the evening meal is completed, campers enjoy movies, campfires, games and other planned activities. Nutritious food is provided to campers along with spiritual growth through nondenominational chapel services. 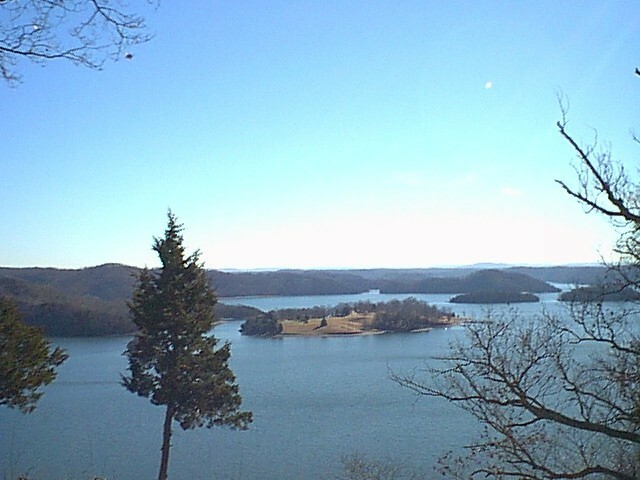 An excellent place to view Trooper Island is from the Mary Ray Oaken Lodge in Dale Hollow Resort near Burkesville, Kentucky. This very posh resort was opened in 1997 and includes 3,400 acres of unspoiled wilderness. The lodge, sitting high atop a 300-foot cliff overlooking Dale Hollow lake, has accommodations for overnight guests, vacationers, and even has a convention center and a golf course. The restaurant has delicious food, but there is just no way to describe the view other than to say you must see it for yourself. It is spectacular! If you travel by boat to Dale Hollow resort’s marina, and want to eat at the restaurant, a shuttle service is also provided from the marina to the restaurant. I have no idea how many children have spent a week on Trooper Island, but after the many years it has been in operation, it has to be quite a large number. Our Kentucky neighbors are to be commended for seeing a need and creating this camp where under privileged children are given an opportunity to spend a fun filled week thanks to the Kentucky State Police. It’s nice to know that a law enforcement agency is involved in a program that must be a very positive force in the lives of the many children who have had an opportunity to not only go to camp, but to a very special one that’s on an island. And spending a week on an island would certainly be an adventure to remember always. I think I would really enjoy that too.